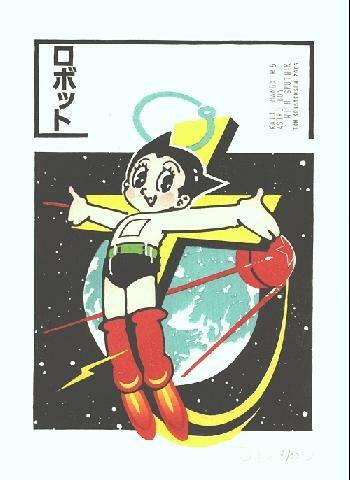 From the series Kaiju Manga ( Pictures of Magical Animals), #5, Astro boy with Sputnik, printed in an edition of 50. Paper size 21.5 x 29.5 cm. ; image size 18 x 25 cm.